If you feel your heart flip-flopping, then you are experiencing palpitations: a sensation that the heart is racing, fluttering, pounding, skipping beats or beating irregularly. Often, this common symptom is due to an abnormal heart rhythm or arrhythmia. The arrhythmias that cause palpitations range from common and benign to rare and lethal, and since most individuals cannot easily sort out whether they have a dangerous or a benign problem, they often end up getting cardiac testing or cardiology consultation. The most common cause of palpitations, in my experience, is the premature ventricular contraction, or PVC (less commonly known as the ventricular ectopic beat or VEB). The PVC occurs when the ventricles of the heart (the muscular chambers responsible for pumping blood out to the body) are activated prematurely. This video shows the normal sequence of electrical and subsequent mechanical activation of the chambers of the heart. To get an efficient contraction, the electrical signal and contraction begins in the upper chambers, the atria, and then proceeds through special electrical fibers to activate the left and right ventricles. Sometimes this normal sequence is disrupted because a rogue cell in one of the ventricles becomes electrically activated prior to getting orders from above. In this situation, the electrical signal spreads out from the rogue cell and the ventricles contract out of sequence or prematurely. This results in a Premature Ventricle Contraction. p waves represent depolarization and activation of the atria which are followed normally after120 to 200 milliseconds by the QRS complex which represents activation of the ventricles. The PVC (inside red circle) is wider and weirder and disrupts the regular interval between beats (green lines). I recorded the above AliveCor tracing in my office on a patient who suffers palpitations due to PVCs (we’ll call her Janet). The wider, earlier beat (circled in red) in the sequence is the PVC. The prematurity of the PVC means that the heart has not had the appropriate time to fill up properly. As a result, the PVC beat pumps very little blood and may not even be felt in the peripheral pulse. Patients with a lot of PVCs, say ocurring every other beat in what is termed a bigeminal pattern, often record an abnormally slow heart rate because only one-half of the heart’s contractions are being counted. While recording this, every time Janet felt one of her typical “flip-flops,” we could see that she had a corresponding PVC and the cause of her symptoms was made clear. ECG from 70 year old very vigorous man who had 20 thousand PVCs in 24 hours. Every third beat is a PVC (green arrow PVC, blue arrow normal QRS. )This patient feels nothing with his frequent PVCs. He has had them probably lifelong and definitely for the last 10 years without any adverse consequences. thousands of them in a 24-hour period and feel nothing. On the other hand, some of my patients suffer disabling palpitations from very infrequent PVCs. From an electrical or physiologic standpoint, there seems to be neither rhyme nor reason to why some patients are exquisitely sensitive to premature beats. How Do I Know If My PVCs Are Benign? My patient, Janet, is a great example of how PVCs can present and how inappropriate or inaccurate heart tests done to evaluate PVCs can lead to anxiety and unnecessary and dangerous subsequent testing. A year ago, Janet began experiencing a sensation of fluttering in her chest that appeared to be random. Her general practitioner noted an irregular pulse and obtained an ECG, which showed PVCS. He ordered two cardiac tests for evaluation of the palpitations: a Holter monitor and a stress echo. Janet’s Holter monitor showed that over 24 hours her heart beat around 100,000 times with around 2500 PVCs during the recording. 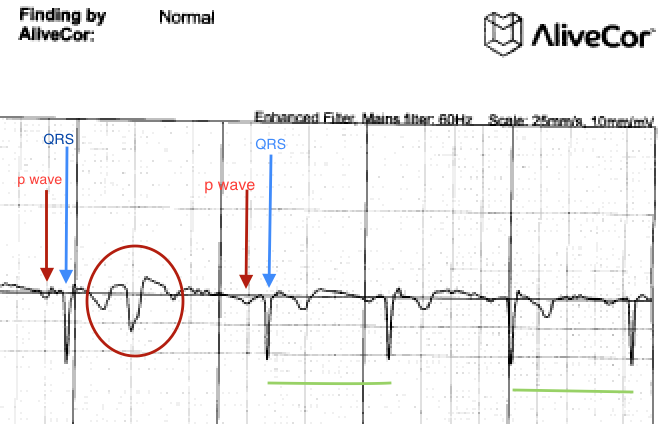 Unfortunately, the report did not mention symptoms, so it was not possible to tell from the Holter if the PVCs were the cause of her palpitations. A stress echocardiogram combines ultrasound imaging of the heart before and after exercise with a standard treadmill ECG. It is a very reasonable test to order in a patient with palpitations and PVCs, as it allows us to assess for any significant problems with the heart muscle, valves or blood supply and to see if any more dangerous rhythms like ventricular tachycardia occur with exercise. If it is normal, we can state with high certainty that the PVCs are benign. Benign, in this context, means the patient is not at increased risk of stroke, heart attack, or death due to the PVCs. -The echocardiogram allows assessment of the entire anatomy of the heart, thus detecting any thickening (hypertrophy), enlargement or weakness of the heart muscle, that would mean the PVCs are potentially dangerous. Unfortunately, my patient’s stress echo (done at another medical center) was botched and read as showing evidence for a blockage when there was none. An invasive and potentially life-threatening procedure, a cardiac catheterization was recommended. Similar to the situation I’ve pointed out with the performance and interpretation of echocardiograms (see here), there is no guarantee that your stress echo will be performed or interpreted by someone who actually knows what they are doing. So, although the stress echo in published studies or in the hands of someone who is truly expert in interpretation, has a low yield of false positives, in clinical practice the situation is not always the same. Given that Janet was very active without any symptoms, she balked at getting the catheterization and came to me for a second opinion. I felt the stress echo was a false positive and did not feel the catheterization was warranted. We discussed alternatives, and because Janet needed more reassurance of the normality of her heart (partially because her father had died suddenly in his sixties) and thus the benignity of her palpitations/PVCs, she underwent a coronary CT angiogram instead. 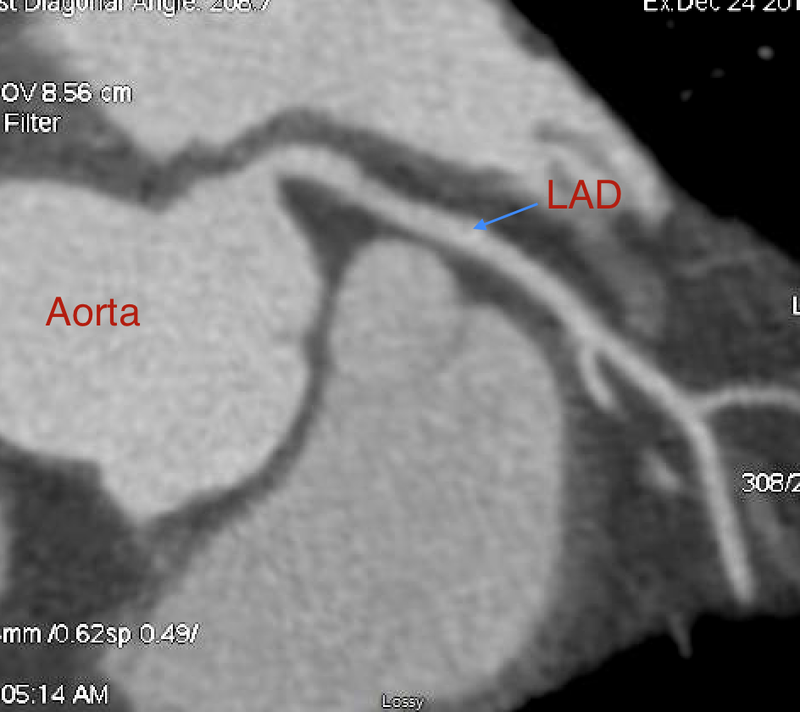 This noninvasive exam (which involves IV contrast administration, and is different from a coronary calcium scan), showed that her coronary arteries were totally normal. Once we have demonstrated that the heart is structurally normal, reassurance is often the only treatment that is needed. Now that the patient understands exactly what is going on with the heart and that it is common and not dangerous, they are less likely to become anxious when the PVCs come on. PVCS can create a vicious cycle because the anxiety they provoke can cause an increase in neurohormonal factors (catecholamines/adrenalin) that may increase heart rate , make the heart beat stronger and increase the frequency of the PVCs. Some patients, find their PVCs are triggered by caffeine (tea, soda, coffee, chocolate) or stress, and reducing or eliminating those triggers helps greatly. Others, like Janet, have already eliminated caffeine, and are not under significant stress. Since I’m already over a thousand words in this post, I’ll discuss treatment options for these patients with benign PVCs who continue to have troubling symptoms after reassurance and caffeine reduction in a subsequent post.